Agent Jane Blonde is a Microgaming slot with 5 reels and 9 paylines. Playable on all devices from 9p to £45 a spin, this spy themed offering may be old but is a classic. It comes with a wild that doubles payouts as well as a Free Spins feature that awards up to 30 free spins with a 6x multiplier potentially (with the doubling wild). Visually, Agent Jane Blonde is very simple as it was released in November 2005! With cartoon style graphics, symbols on the reels include spy glasses, C-4 gum, guns, tracking devices, cocktails and lipstick. You’ll also see Agent Jane Blonde in 5 various scenarios. Agent Jane Blonde’s face is the wild symbol and substitutes for all symbols bar the scatter – when it forms part of a win, your payout will be doubled. It’s also the most rewarding symbol with 5 across a payline giving you 1,111.11 times your total stake. Agent Jane Blonde comes with a Free Spins feature which is played when you get 3, 4 or 5 Agent Jane Blonde target symbols (the scatter) anywhere on the reels – this will reward you with 15 free spins and a 3x multiplier. You can also retrigger the feature to give you 30 free spins in total. The doubling wild also applies here meaning a win involving a wild will reward you with a 6x multiplier in theory. Agent Jane Blonde is a simple slot – visually, it shows its age. Saying that, this medium variance title has the potential to reward you with 3,407.11 times your stake on each free spin if it includes the doubling wild (as you’ll benefit from a 6x multiplier). Every base game spin can provide you with wins of 1,140.44 times your stake which is decent. 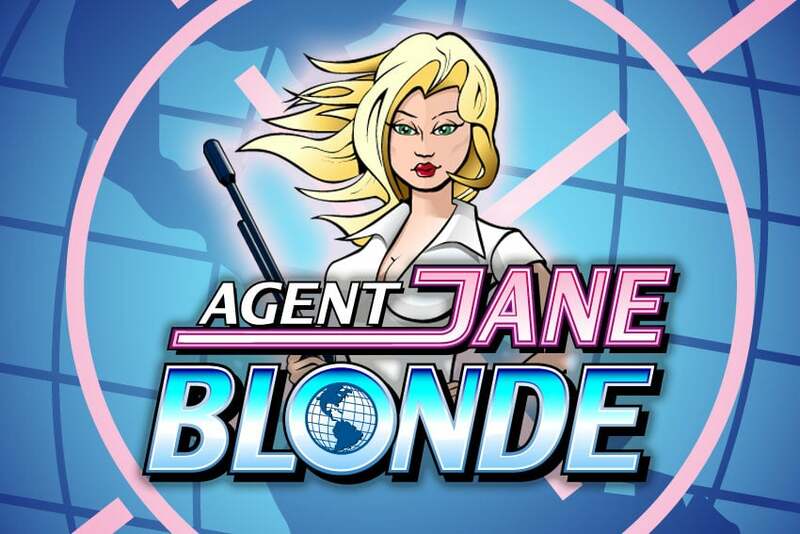 Overall, Agent Jane Blonde is a classic – there are much better slots out there like Microgaming’s Immortal Romance as there are top wins of 12,150 times your stake on each free spin. As a result of Agent Jane Blonde’s popularity, Agent Jane Blonde Returns has been released.